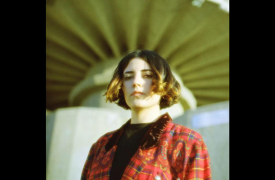 Born and raised in the border city of Chula Vista, California, Jackie Mendoza found inspiration from her motherland, Tijuana, Mexico to create a unique sound influenced by Latin pop music, folk, and electronic pop. She creates melodies that captivate the listener’s imagination with story-telling through sound design and narrative songwriting. Jackie uses voice and electric ukulele on a blend of electronic beats to bring to life a cacophony of sonic textures.